After all the work the participants put into polishing their acts it is now our turn to see how well they perform. Cavan Creative Music Performers & The Amazing Few Concert on Sunday 25th August @ 8pm in Townhall Cavan is billed as an exciting end to The Life of Reilly Festival. 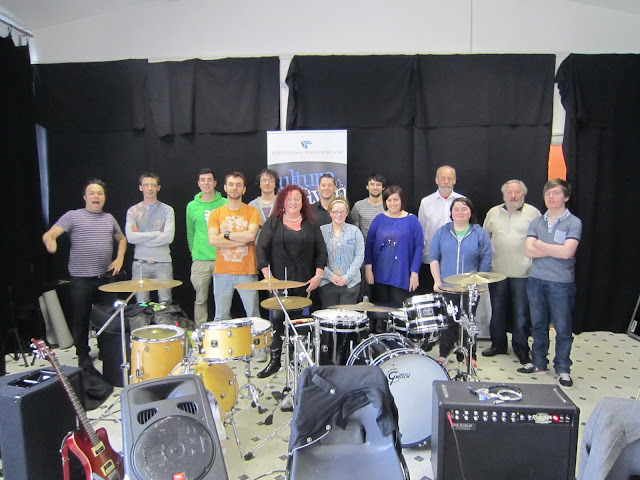 The Amazing Few will back the participants from the Creative Cavan Music Workshops which took place earlier in the year. Seven solo artists (Aine Cahill, Ita Madden, Daniel O'Neill, Kevin Sweeney, Harley Van-Standen, Aaron Van Haaster, Tara Kennedy, Dan McPhilips) and one band (Winterking) each playing one original song. The Amazing Few will then be performing their high energy show, mixing peppy pop with punkish quirk and throwing in face-painters, pinatas, confetti, balloons plus too many other colourful and noisy props to mention. The night will finish after all the votes have been counted with the winning performance being announced and presented with their prize of a two day recording session plus a professional video.